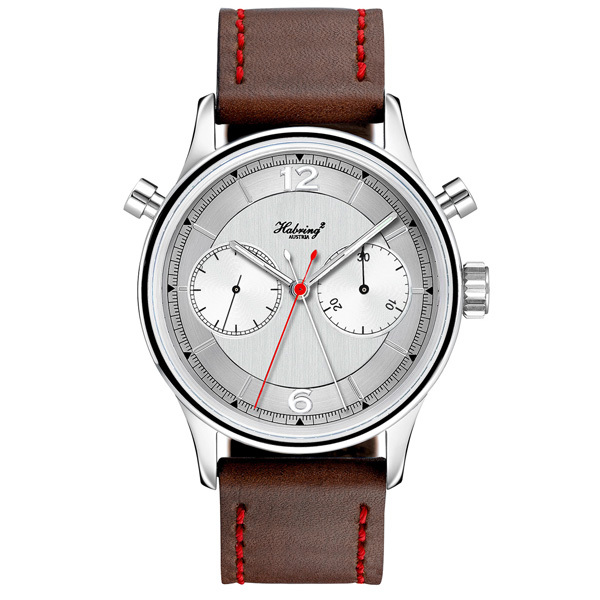 Awarded with the Grand Prix d'Horlogerie 2012 in the Sport Watch category for the Doppel 2.0 chronograph, this year Habring2 introduces an even more interesting timepiece with the Doppel 3 split seconds chronograph. The chronograph start-stop-zero functions are all controlled by the pusher at 2 o'clock. 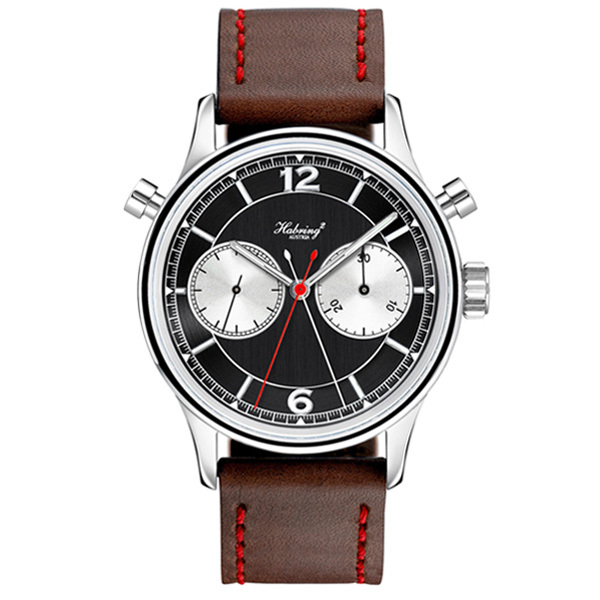 The chronograph seconds hand is white while the split seconds hand, controlled by the pusher at 10 o'clock, is red. 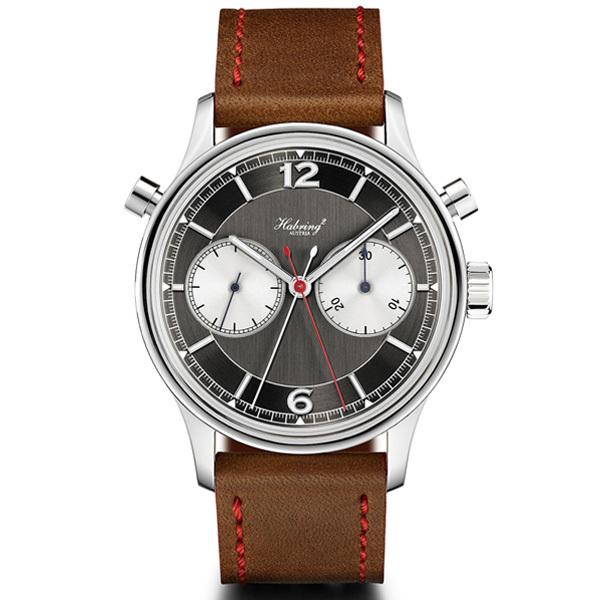 The small running seconds and the 30-minute silver sub-dials offer perfect legibility. Dials can be grey, black and silver. Case diameter is 42 mm. The movement is based upon the manual winding calibre Valjoux 7750 to which a cam/lever-driven rattrapante mechanism has been added. Power reserve is 48 hours. 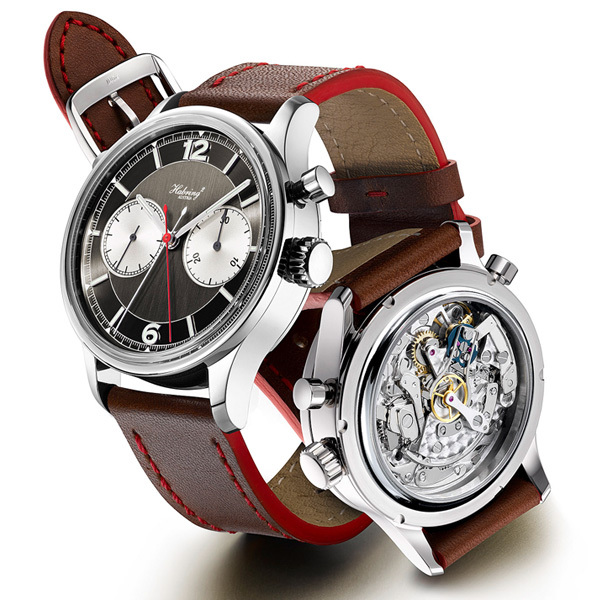 Awarded with the Grand Prix d'Horlogerie 2012 in the Sport Watch category for the Doppel 2.0 chronograph, this year Habring2 introduces an even more interesting timepiece with the Doppel 3 split-second chronograph.